I have had nothing but the worst experiences with this company. I work in outside sales and was "convinced" by my salesperson that leasing would be a great option to avoid depreciation on my own car due to high miles. After the car was totaled, I realized my car was never set up as a "high mileage" car. I had asked her several times, she assured me it was. Ultimately I did not request details on my contract. She told me my contract was set up as a normal lease but I was paying higher to take care of high miles. They will lie through their teeth and never take blame on a thing. Do yourself a favor and steer clear of this company! Review #622239 is a subjective opinion of Dvagrl. I am terribly sorry for any miscommunication. I would like the chance to assist you with your concerns. 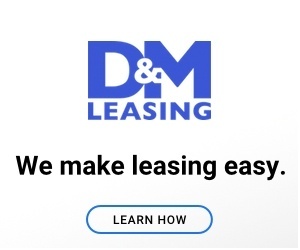 As President of the D&M Houston location, I take our customer service very seriously and will take all reasonable measures to assist you personally. My direct line is 713-715-4611 and I am available any time during business hours. Thank you clearing up this issue and your communication through the process. I am glad we were able to address your concerns and resolve the issue. We appreciate your business and look forward to serving you in the future.